The ACME C Clamp 330S is the ultimate precision tool to assist you in removing any ski or wake boat props. The ACME C Clamp 330S is cast in Stainless Steel and will last a lifetime. The ACME 330S is able to be used on both 3 and 4 blade ski/wake boat propellers. The puller works on 1-1/4" shafts. 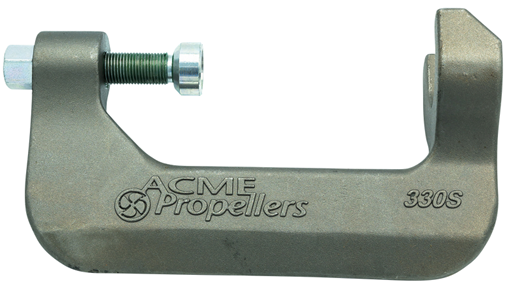 Order your ACME Marine C Clamp 330S today today from Propeller Depot and save tons.